Where have all the monkeys gone? Maybe, Uttarakhand knows! Where are all these monkeys coming into Uttarakhand from? Uttarakhand is gearing up for a long winter, with the MeT department having forecast heavy rain, snow and even avalanches in the hilly state over the next week. If that wasn't enough, the state has an additional problem to deal with. Monkeys have been making their way into the state in the dead of the night. This sudden increase in the state's monkey population has left authorities and residents bewildered. According to a Times of India report, the Principal Chief Conservator of forests has taken note of this issue and and written to the director general of police and transport department. 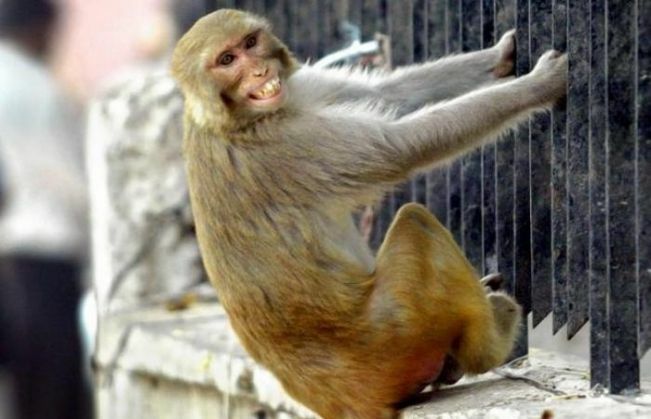 Reports reveal that monkeys from neighboring states like Uttar Pradesh are being secretly released into Uttarakhand. State Forest Minister, Dinesh Aggarwal, announced that people were releasing groups of monkeys into Uttarakhand forests in the middle of night. Aggarwal alleged that several neighboring states were facing a similar problem in terms of a monkey menace. He said that the Uttarakhand government had set up sterilisation centres and monkey enclosures to deal with the issue. However, not much could be done if other states kept dumping their monkeys into Uttarakhand, he said. Reportedly, there have been several incidents where people have suffered monkey bites in the state this year. In April this year, the Uttarakhand High Court directed that those bitten by monkeys - or dogs - can claim Rs 2 lakh as compensation. Well whatever! Don't blame the monkeys. TWEET THIS Where have all the monkeys gone? Maybe, Uttarakhand knows! Where are all these monkeys coming into Uttarakhand from? READ NEXT >> Dilwale: Do Shah Rukh Khan and Kajol die in the film?